My 6th-8th grade students earn Spanish Euros toward class parties. Each class has a bank and they earn them daily. They have the opportunity to earn sixty per day based on the six pillars of Character Counts. They earn ten for each pillar. They need to earn 1500 to EARN a party. Today being Friday, each class (by chance) 🙂 had earned a class party. During las fiestas, my students eat lots of junk (they volunteer to bring things) and we watch DVDs in Spanish with English subtitles. They love it and I think they impress themselves with the amount of Spanish they actually do understand as they watch. Of course they do not understand all the words, but they surprise me and themselves with what they know. I am so proud of them! It is amazing what a movie can make my students do! They are so focused on the movie in Spanish (minus my darling 8th graders who are just so social they can’t focus on much else but one another), my students hardly know I am tricking them. They think they are having a party, but I am really engaging them and forcing them into immersing themselves into the language I want them to produce daily. Ha! 🙂 My 6th graders watched Diary of a Wimpy Kid in Spanish with English subtitles, my first 7th grade class watched Cloudy with a Chance of Meatballs, my 8th graders watched Night at the Museum, Battle of the Smithsonian and my final 7th grade class watched Alvin and the Chipmunks. They were all so engaged as they watched. It was a great day. Junk food and movies they love…Who wouldn’t be happy? It was a great Friday. And one last thing about movies…and this story is just to make you laugh at me. My sweet 1st graders had a substitute last week. She did not speak Spanish so she read them One Fish, Two Fish, Red Fish, Blue Fish by Dr. Seuss in English. They were supposed to watch an animated video of the book in Spanish after the book. Well, they ran out of time and the substitute told them MAYBE they would watch the movie the next time. Well, they did not have Spanish class for another week and OH BOY…six and seven year old children NEVER forget if you tell them they are going to watch a MOVIE! Well, it was a VHS tape that I never use (only substitutes ever use it) and as soon as they walked in, they all wanted to watch it! SO I put the VHS tape in. I could not get it to play. I took it out and put it back in, pressed lots of buttons…and it would not play. 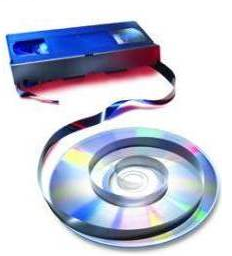 I had copied the VHS tape to a DVD years ago so I tried that…it was a NO GO too! Seriously, I spent about 20 minutes of the 30 minute class trying to get it to work! I finally gave the VHS tape one last try because my little ones were begging, I pressed REWIND and heard that familiar whirring sound that I was accostomed to as a child! Oh my gosh! All I had to do was rewind…AND I THINK I UNDERSTAND TECHNOLOGY!? Teachers at my school sometimes come to me for help and I couldn’t work a VHS tape! Sad! But the little kiddies were happy when it played (the majority of them had never seen a VHS tape before!) Movies! A winner with all age groups and learning styles!